With the most photovoltaic capacity of any country in Europe, Germany has begun to store its excess solar power to enhance local usage. Last year, 41% of all new solar installations were equipped with backup batteries, a world record. 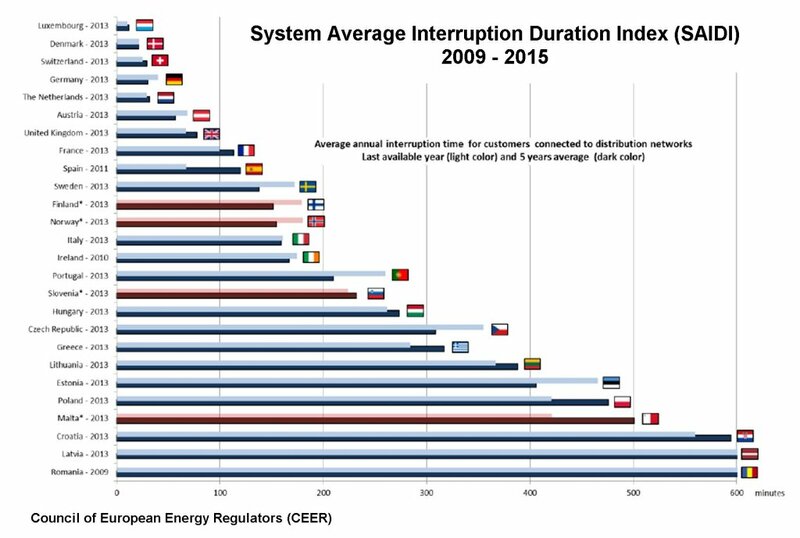 Although home storage may only have a limited role to play in Germany due to a highly reliable grid, globally the German initiative could provide great benefits, for example in counterbalancing the predicted increase of air conditioning usage. Once again, Germany is piloting a renewable energy strategy that will ultimately benefit the rest of the world more than the Germans themselves. Germany’s 1.5 million photovoltaic installations provide a generation capacity of 40 gigawatts (GW), four times the 10.8 GW base-load nuclear fleet that is being decommissioned in legislated stages between the end of 2017 and 2022. 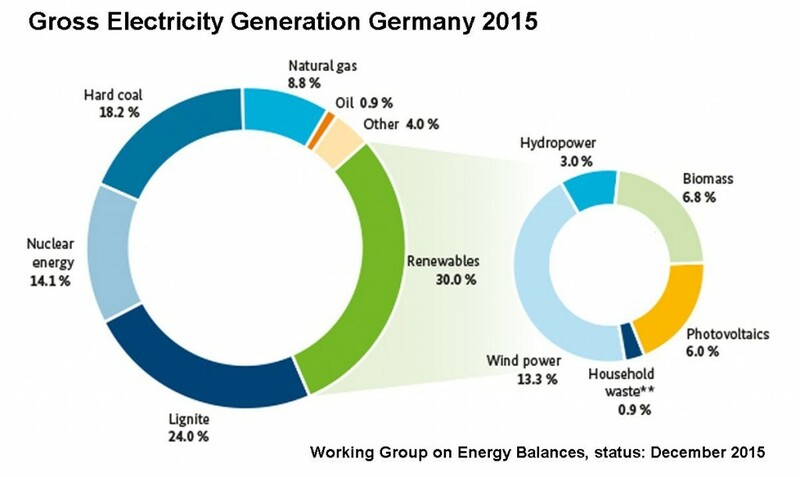 As solar generation only delivers 940 equivalent full-load hours of electricity per year, its high capacity currently covers 7.5% of German electricity consumption,compared to 14% for nuclear generation (in 2015). But solar power has a particular advantage over centralised nuclear generation, in that it needs no long-distance transmission to serve local markets. 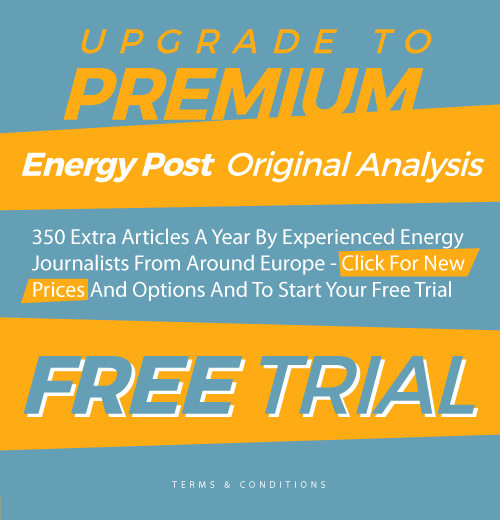 This is an important consideration in the southern states of Bavaria and Baden-Württemberg, where five of the country’s remaining eight nuclear reactors are being retired. Germany’s unflinching commitment to solar power has overcome impediments that once appeared insurmountable. 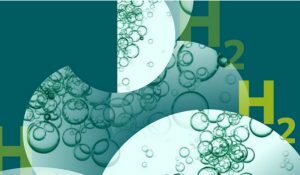 A year before the Fukushima catastrophe of 2011, Germany had reconfirmed its nuclear phase-out policy, but with schedules prolonged into the 2030s. An extensive CO2 pipeline infrastructure was also planned for a new generation of coal and lignite power plants equipped with CCS (carbon capture and storage). Under these circumstances, solar energy appeared to be little more than a seasonal electricity source primarily suitable for offsetting the summertime cooling inefficiencies of thermal power stations. In contrast to the unfulfilled promises of CCS, however, solar generation has since become an overachiever. Germany’s 40 GW photovoltaic complement currently represents 16% of worldwide installed capacity. On summer weekdays, solar irradiation covers up to 35% of German grid requirements, and nearly 50% on weekends. Even more total annual electricity (13.3% in 2015) is supplied to the grid by 41.7 GW of wind generation from turbines operating between 3,000 and 4,300 hours offshore and 1,600 to 2,800 hours on land. Southern Germany, however, has insufficient wind power resources. The necessary high-voltage interconnections between offshore wind farms in the north and inland distribution regions continue to be impeded by transmission line construction delays. By the end of 2015, only 614 km of the required 1,816 km distance had been realized. 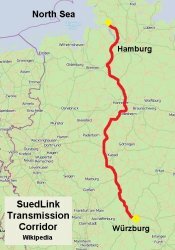 The essential SuedLink corridor from the North Sea to Bavaria may now be completed only in 2025, three years after the last nuclear reactor has been retired. Overall costs could rise to €10 billion due to requirements for underground cables along part of the route. Decentralised solar power installations are less affected by these impediments. Wind and solar power are nevertheless confronted with increasing mutual redundancy. During intensely windy periods particularly on sunny days, total generation frequently exceeds demand. The surplus grid power is then delivered at below cost to industrial customers, dissipated in low-revenue waste heat applications, or exported at bargain prices to other countries. 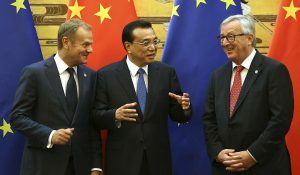 After repeated complaints from EU member states over trans-border market disruptions, the European Commission may now divide Germany into two tariff zones to raise utility rates in the south. The added revenues would facilitate greater investments in local energy initiatives. The grid operator can decide to interrupt excessive renewable power from individual installations. In those cases, the producer is compensated with 95% of his lost feed-in revenues under Sections 12 to 15 of the Renewable Energy Sources Act (EEG). 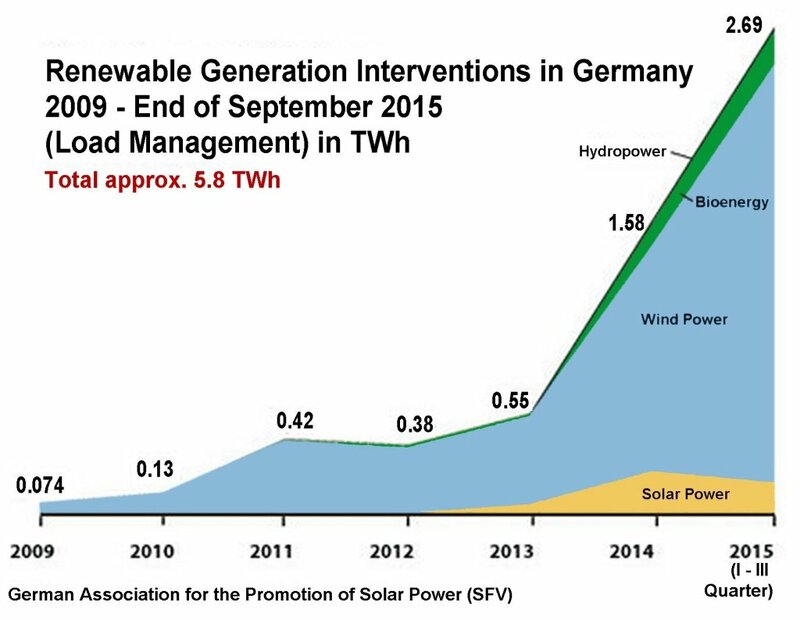 According to figures from the German Association for the Promotion of Solar Power (SFV), the number of corresponding grid interventions has increased significantly in recent years. 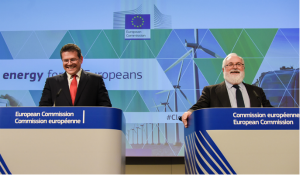 As a result, balancing payments of €485 million were made by grid operators to renewable energy producers between 2009 and the end of September 2015, with rising amounts anticipated for the future. The incurred costs are invoiced to ratepayers. The disproportionate relationship shown in the chart between wind and solar power reflects the longer generation hours of wind farms particularly in the north and east that occasioned nine out of ten interventions in 2015. In response to the problem of grid congestion, the German government has now announced restrictions on additional renewable capacities. Beginning in 2017, auctions will be required for all new installations exceeding 750 kW capacity. Ground-mounted solar bidding may not exceed a total of 600 MW each year, while the actual amounts could be lower. The expansion of onshore wind installations will be limited to 2.8GW annually. The auctions, which already began for solar farms in a 2015 pilot program, are conducted by the Federal Network Agency according to Section 55 of the EEG. For smaller installations, the existing EEG 2014 will still apply until a total solar capacity of 52 GW is attained. In earlier years, by contrast, guaranteed feed-in payments were made to installations regardless of number and capacity. A recent study commissioned by the Federal Ministry for the Economy (BMWi) predicts more efficient adaptation to market conditions and the preclusion of excessive incentive payments as a result of this EEG Reform 2016. The German Renewable Energy Federation (BEE), on the other hand, maintains that the measures will “cut into the heart of the Energiewende”. However that may be, the current practice of providing guaranteed feed-in revenues for the limitless replication of standardised technologies has not fostered effective measures for preventing grid oversupplies. But there is another way of addressing grid congestion: by increasing local storage for subsequent usage. Commercial wind turbines, which are most efficient at great heights in the megawatt range, are generally too large for battery backup systems. Solar cells, on the other hand, can be connected anywhere the sun shines with the same generation efficiency to match individual applications, be that a pocket calculator, a PV rooftop installation, or a solar farm. 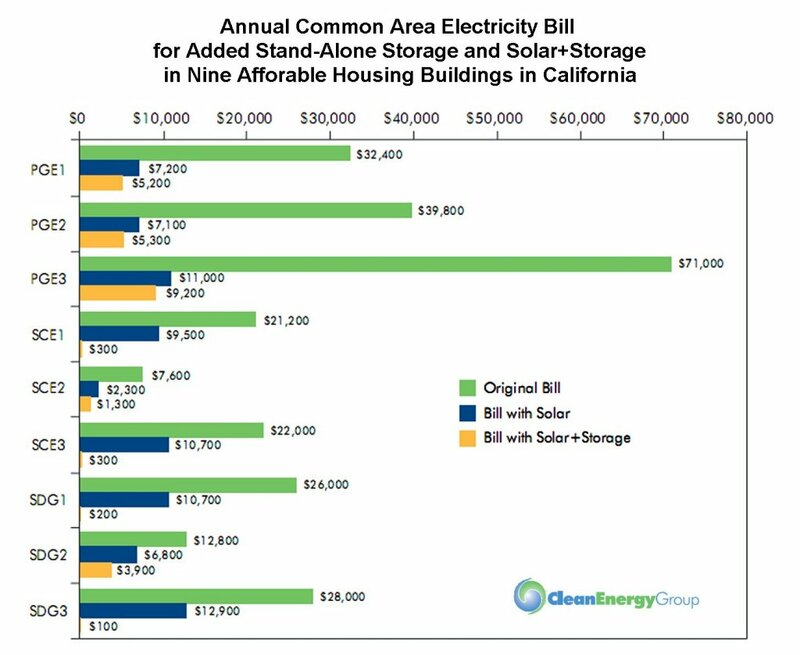 Fully autonomous off-grid solar systems are expensive, but partial storage in grid-connected systems provides improved economy for both homeowners and power utilities. The Renewable Energy Storage Subsidy Program of the KfW Development Bank arranges low-interest federal loans and payback assistance covering up to 25% of the required investment outlays. KfW has determined that 41% of Germany’s new solar installations in 2015 included battery storage, compared with less than 14% the previous year. This level of adoption likely constitutes a world record for dedicated solar storage. Since 2013, 43,000 applications for solar systems with battery storage have been approved – 19,328 last year alone. As shown on the map, many installations have already entered service. The heaviest concentration of registered locations in Bavaria and North Rhine-Westphalia reflects higher income levels and greater electricity consumption per household. KfW requires that sufficient PV electricity be employed for on-site consumption and storage to prevent more than 50% of the output from reaching the transmission network. In this way, 1.7 to 2.5 times the usual solar capacity can be tolerated by the grid without overloading according to the most recent KfW program report. The KfW requirement means that at least half of electricity usage becomes impervious to utility rate increases. According to a survey held by KfW, more than 80% of users of storage do it to save costs. Only 20% have installed rooftop solar systems with battery storage as a precaution against blackouts. Although in Germany with its high grid reliability, consumers perceive no particular need for improving system reliability, the reduction of costly grid interventions and transmission losses nevertheless improves the overall utilisation efficiency of photovoltaic systems. The Germans are not alone in pursuing cost-effective solar implementation. In the United States, a number of recent studies have almost unanimously confirmed decisive customer benefits for more than a million net-metered rooftop solar systems. 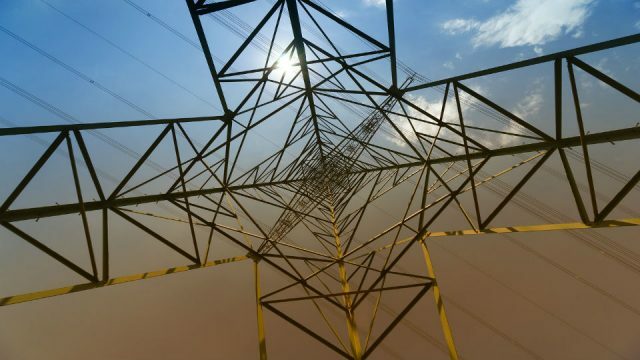 reducing wear and tear on the electric grid. In contrast with European countries, the U.S. Congress has never enacted national feed-in legislation for renewable energies. Each state is instead left to devise its own policies, which are compiled at the Database of State Incentives for Renewables & Efficiency (DSIRE). Compared with the EU, higher domestic electricity consumption prevails in the United States due to expansive living spaces, low utility rates, and air conditioning installed by the end of the last decade in 100 million homes. At that time, recurrent excess demand had already made time-based rate programs essential for reducing $150 billion in annual power outage losses. These variable tariffs could now promote the implementation of solar storage systems, which diminish ratepayer grid demand when peak electricity is most expensive. 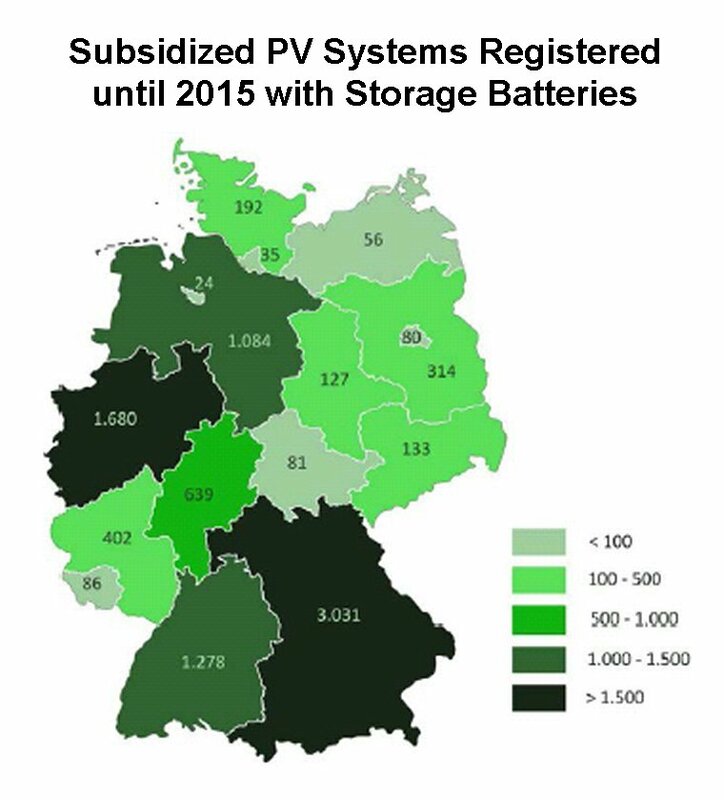 For now, Germany’s solar storage initiative remains a modest venture. The achieved nationwide solar energy storage of slightly over 200 MWh would be adequate for supplying 22,000 households with electricity for just one day. Nevertheless, 600 to 700 additional applications for KfW funding are received each month. Pursuing this technological innovation can result in future export benefits. The solar industry in Asia has expanded, for instance, using production equipment originally developed for German manufacturers. 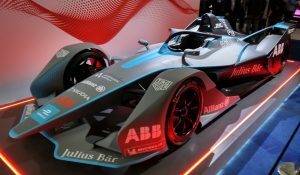 The perspectives are potentially more promising for advanced battery technologies that may be concurrently required by industry and the transport sector. 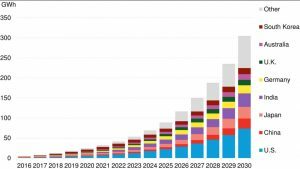 The accelerated growth of energy storage in the United States portends a future transition from fossil fuel combustion to electrical power drives. One important benefit of stationary solar storage systems is that they could counterbalance rising global air conditioning demand. The Guardian has noted that the United States already “uses more electricity for cooling than Africa, population 1.1 billion, uses for everything.” The research of Michael Sivak at the University of Michigan indicates that eight countries may ultimately exceed American air conditioning electricity usage. Perfecting storage monitoring techniques in ongoing projects would pay inestimable dividends in this dimension. A resulting policy of “solar husbandry” could become an agent of enduring social change. “Whoever enables two stalks to grow where one previously grew,” Frederick II of Prussia once declared, “has done more for the people than a general who wins a battle.” On-site solar storage may now replicate that vision of bountiful multiplication. Since 2013, the Institute for Power Electronics and Electrical Drives (iSEA) at the RWTH Aachen University has been collecting solar storage performance data to evaluate the achievable benefits under actual usage conditions. This is a new approach. In the past, a remarkably nonchalant attitude prevailed among German lawmakers toward solar power deployment. The first 2004 version of the feed-in tariff legislation contained no provisions for compiling PV statistics. Beginning only in 2007, reporting the location and capacity of all new installations connected to the grid was mandated. The compounded effects on transmission became apparent in time when certain power lines serving wind turbines began overheating. The iSEA solar storage monitoring program was initiated in 2013 for continuously tracking system characteristics and usage. At the monitoring website www.speichermonitoring.de, each PV installation is registered with equipment data, location, and prevailing utility rates. 2,000 program participants provide monthly performance data. Electronic real-time monitoring is conducted at 20 installations. Jeffrey H. Michel is an independent energy consultant and has published extensively about the German coal industry. Inquiries: Ing.-Büro für Energieforschung, Hamburg, jeffrey.michel@gmx.net. The main reason to start with auctions were the significant lower prices (lower LCOE) those auctions induced as shown in other countries and by pilots. The auctions force the bidders to become more efficient and prevent high profits (as occurred with FiT’s), so unnecessary high costs for electricity consumers. It’s <50% the price the new NPP at Hinkley will get, while Hinkley's price is inflation corrected during 35yrs of operation. In my view, there are major differences between offshore wind farms and single on shore turbines not to mention all form of solar installations. I do agree that auctions for large off shore wind farms requring detailed tenders works well, but not for single on shore turbines or for singe small PV installations. You should have appropiate methods for either case. Agree. Auctions are expensive for the bidders, so they exclude smaller bidders (a bid may easily cost >€100K = wasted money if you don’t win). So they exclude smaller companies. So in addition to solar installations <750KW, single onshore wind turbines owned by local people (farmer, etc), should be excluded. Onshore wind turbines (up to a certain total capacity) owned by local people are excluded from auctions. Yes, I had notice a few days ago that DONG Energy had won that tender. The company had tried to erect a coal power plant in Lubmin on the Baltic Sea, the former site of East Germany’s nuclear power plants, but abandoned the project in 2009. Renewable are not curtailed when production exceed demand but when the residual demand is too low for the must-run capacity of baseload powerplant (coal and nuclear). As long as we don’t enforce a 0 must run capacity policy for dirty power plants connected to the grid (which is technically possible) any storage coming into the system to prevent the curtailment of renewable are just storing coal power and preventing creative destruction to happen. It’s very expensive with nuclear plants. Also because operating at lower levels implies that far more neutrons are catched without emitting new ones (changing the composition of the fuel rods), so they have to exchange the fuel rods far more frequently. Which implies usually an outage for weeks. With fossil, deep down regulation implies much lower temperatures which implies shrinkage’s of the steel, etc. The new (coal & lignite) plants that use low burning temperatures are capable for rather deep down regulation. And of course also gas turbines who can go down towards zero (but not combined cycle). Good article. output for the recent storage & solar exhibition in Dusseldorf suggests that at household level, 70% of all new PV systems have storage bolted on to them. Whilst the numbers are not large (few hundred MW?) the trajectory is clear for households not just in Germany but elsewhere. In the case of on-shore & off-shore wind – there is a trivial way to address the “re-dispatch” problem/grid intervention problem: power to gas (P2G) which can offer MW-class/GWh-class buffering whilst at the same time producing a solution to the “transport problem” (= how to decarb). I agree with the move to auctions: but it needs to be a horse for courses approach – big stuff (+10MW) auctions, small stuff (<5MW?) Fit or equivalent (wind) & 500kW< for PV. Very well written summary. The chart showing the exponential growth of cooling energy demand couldnt be shown to often. Actually there is no solution for small-scale ice-storage systems for residential or small commercial use. Since battery storage technologies wouldnt work well with conventional AC-systems. I think there is much room left for thermal storages, since battery will remain expensive >300-500 USD/kW and thermal storages are just simple to build and maintain. Technologies such as radiant cooling systems for tropical climate are also often neglected. There is much room left for energy efficiency improvements especially in the building sector. Some new storage devices are coming to the market. Have a look at http://www.batsolpower.com. This kind of product allows storage to be affordable and very flexible. This is a progressive way to empower peolple in their energy management. Here in France, our government is slowly starting to think that nuclear power may not be the ultimate solution. It is quite a revolution here but the French way to do has always been to think centralized and big. I am sure they are wrong. Energy will be a private matter sooner and later and people will need solutions to handle it the way they want, even if they share a grid.